Robotics Grade Wireless Sensors and Connections: Octobor’s plush body can feel hugs and pats; has visual LED lights to display Octobo’s emotions; has soft and sensitive arms that can feel presses, pulls, shakes, tickles and wiggles; sports a star button that can bring out magical adventures; and has a little plate for kids to share their discoveries with Octobo. Holds Any Mobile Device: Octobo works with the tablet that you and your children are already playing with, on both Android and iOS. Once connected to the dedicated APP, Octobo will come to life and interact with you through the display. Interactive Story Books: The books come with sensor-embedded tokens that interact with Octobo as the stories unfold. Octobo is not available yet in the U.S., but will be on Kickstarter starting in January 2018. Right now Yuting is offering 15 percent off when you go to PlayOctobo.com and sign up for the newsletter. This is such a cool toy!! 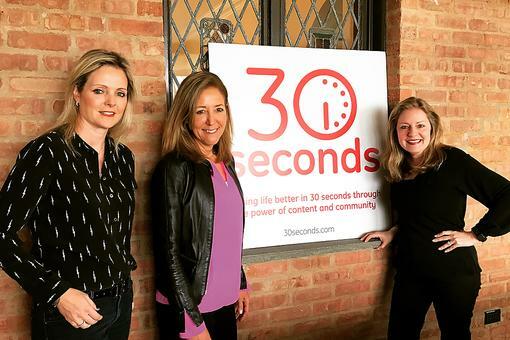 #30Seconds Live: Watch Our First Livestream Show! 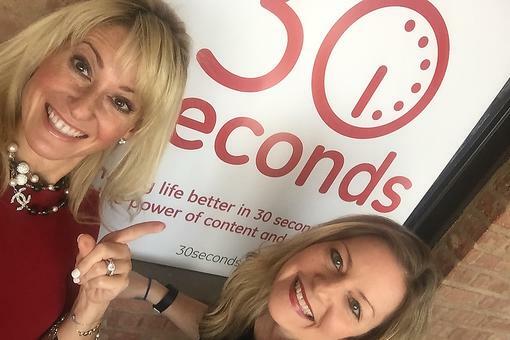 #30Seconds Live: Parenting & Travel Tips With Eirene Heidelberger of GIT Mom! #30Seconds Live: Money and Finances With Prosperity Expert Ellen Rogin, CPA, CFP! 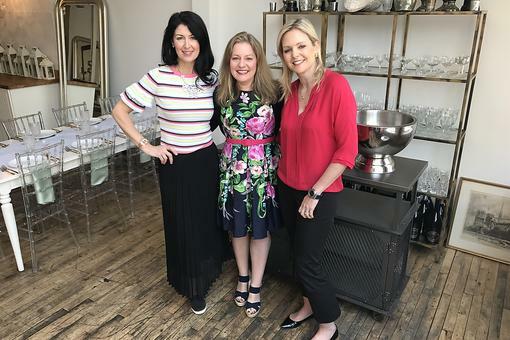 #30Seconds Live: All Things Spring & Easter With Celebrity Event Planner Debi Lilly! 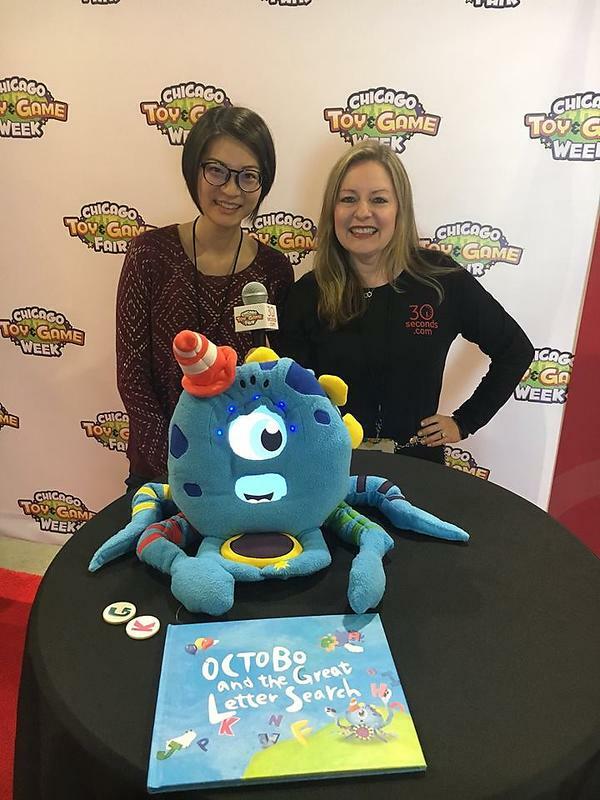 ​#30Seconds Live: Chicago Toy & Game Fair With Octobo Creator Yuting Su!